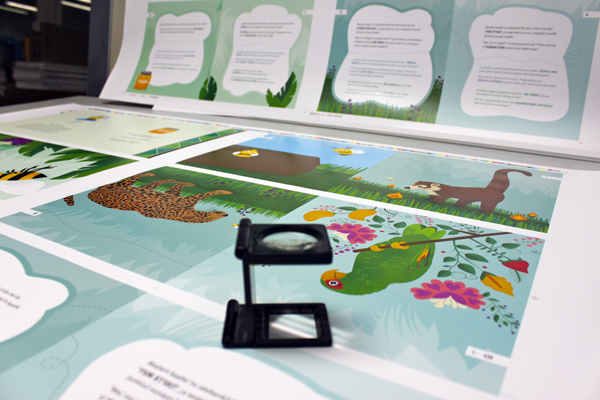 A few weeks ago, amidst a whirlwind day at University, I was called to a press check for the multilingual children’s book I have been working on for over a year now. 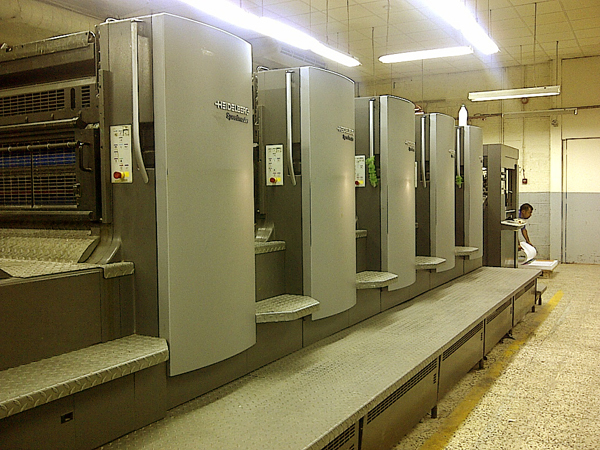 As you might imagine, it was very exciting to see the pages running through the huge press and to see the finalized work in full-color glory. If you’ve been keeping up with my research, this project emerged from a study abroad program I was proud to be a part of during the Summer of 2011 in the Yucatán Peninsula of Mexico. In brief, the program joined together students in Graphic Design, Anthropology, and Spanish in the Mayan Village of Yunku. During the 10-day service learning component of the trip, we piloted a day-camp for children, interviewed leaders in the community, and simply had an amazing time. 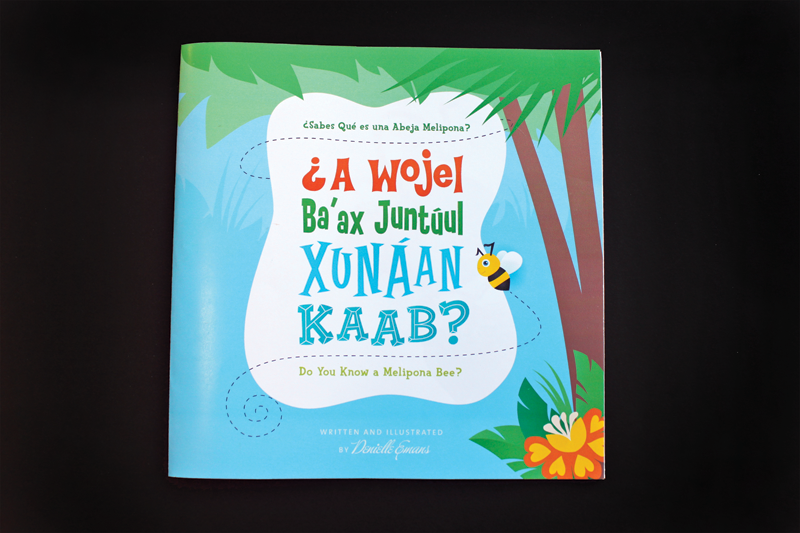 Based on the interview with community leader and beekeeper Don Fabian I wrote, illustrated, and designed a multilingual children’s book titled ‘¿A Wojel Xunáan Ba’ax Juntúul Xuáan Kaab?’ (Do You Know a Melipona Bee?). 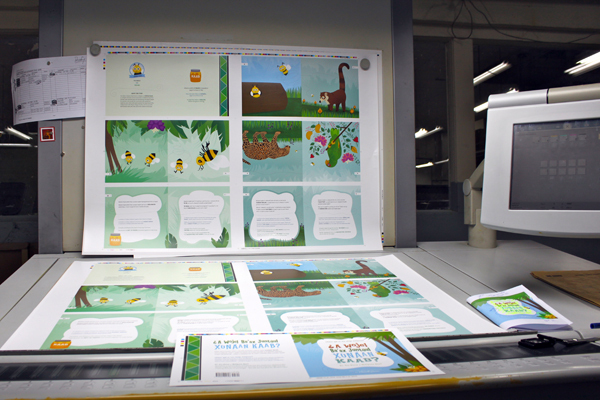 The story takes children on a journey through the forest, introducing readers to indigenous animals while a honeybee searches for the native melipona bee. 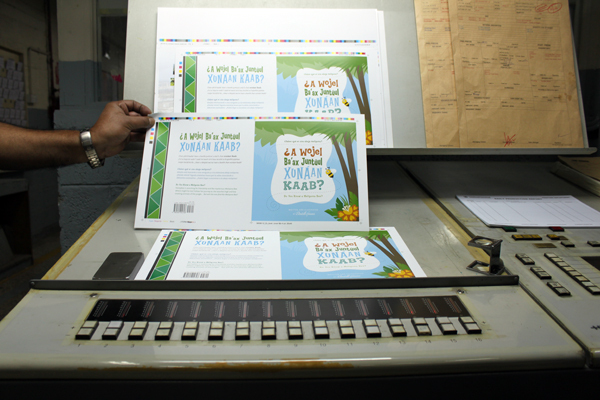 The children’s story is contextualized for the needs of Mayan children in the Yucatan Peninsula where publications that meet multilingual standards are rare at best. Translation into Spanish and Maya were completed respectively by Mercedes Guijarro-Crouch and Cesar David Can Canul – and expert advice came from Carolyn Parker and Laura Vick. A huge thank-you to everyone involved! Supported by a grant from Zayed University, the next step is to send two big boxes filled with books back to the States for sale. One hundred percent of the proceeds made from the sale of the book will go towards installing an internet tower into the Village of Yunku. There’s lots more to do with the project and I look forward to the next steps in the journey.